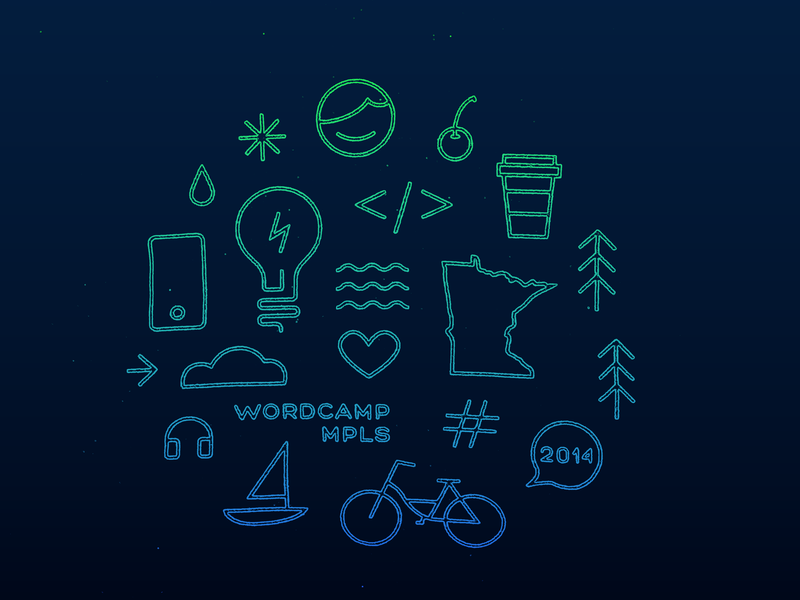 I was playing around with the Minneapolis WordCamp 2014 artwork and came up with what I feel is a starry Minnesota night. Granted, this version isn’t as crisp as it could be since it originated from a photo I took of my shirt, but I like it. I think the rough edges and imperfections make it look nice. I’m going to get the official artwork and create another desktop or two as well. Those will have clear artwork and a whole new design. We’ll see what I’ll come up with.